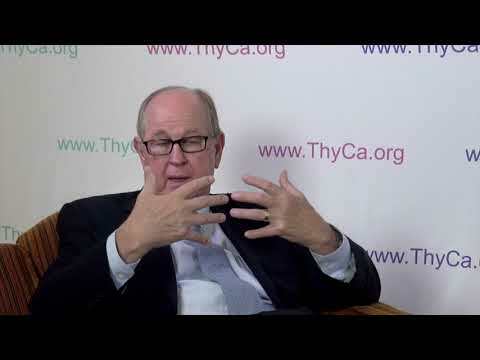 PAN Foundation - ThyCa: Thyroid Cancer Survivors' Association, Inc. Founded in 1995 and advised by thyroid cancer experts, ThyCa: Thyroid Cancer Survivors’ Association provides free support services and materials to patients, caregivers, and professionals worldwide and also sponsors thyroid cancer research grants. The PAN Foundation partners with ThyCa to provide education and support services to patients living with thyroid cancer. Is it Cancer? The NIFTP Reclassification of Certain Thyroid Tumors: Yuri Nikiforov, M.D., Ph.D.
Understanding Medullary Thyroid Cancer: Robert F. Gagel, M.D. Understanding Treatment for Papillary and Follicular Thyroid Cancer: Naifa L. Busaidy, M.D. 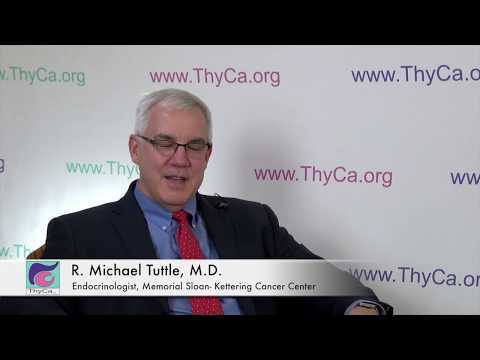 Overview of Medullary Thyroid Cancer: R. Michael Tuttle, M.D.